By Stephen Russell-Lacy The British public, generally speaking, show deference to royalty and are scandalised, yet fascinated, by any of its human failures. However, after the death of Diana, Princess of Wales, the royals were perceived, in the tabloid press, as cold and unfeeling when they did not participate in the outpouring of general grief. … Continue reading The Queen – Why so popular? 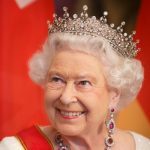 Posted on 23rd June 2018 15th September 2018 Author editor18Categories Ethics, Ethics & Politics, Latest post, UncategorisedTags Christ, Christian faith, crown, duty, Jesus, monarch, monarchy, Queen, royal family, royalty, service, the Queen, usefulnessLeave a comment on The Queen – Why so popular?